The Samsung Galaxy S9 and the Galaxy S9+ officially launches in the Philippines. Features variable aperture camera, dual AKG speakers, and new color Lilac Purple. TheSamsung Galaxy S9 and the Galaxy S9+ officially launches in the Philippines. The company’s latest flagships feature the latest octa-core Exynos 9810 processor, a minimum of 4GB RAM, and a minimum of 64GB storage. The phones are also equipped with the Korean tech giant’s latest camera, which include a new variable aperture lens. 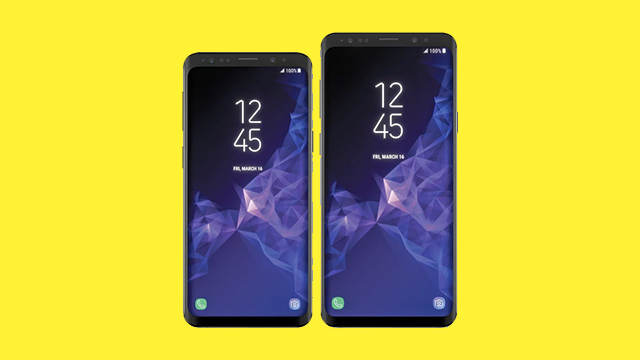 The Galaxy S9 and the Galaxy S9+ are equipped with a 12MP Super Speed Dual Pixel rear camera with autofocus and optical image stabilization. Both units come with variable aperture lens, meaning you can switch between two apertures (f/1.5 and f2.4). The Galaxy S9+ is the only one between the two that comes with a dual 12MP + 12MP sensors. Pre-order period for the Samsung Galaxy S9 and the Galaxy S9+ ended last March 6. Lucky would-be buyers who did will get an exclusive gift of their choice — an AKG S30 Bluetooth Speaker, a Wireless Charger Convertible, or a Samsung voucher worth Php3,500 (which may be used on any Samsung Mobile product in the same store on the same day of purchase). There are additional complimentary giveaways including a 6-month Screen Warranty voucher, Zalora and honestbee vouchers, and discounts are also up for grabs. The Samsung Galaxy S9 has a suggested retail price of Php45,990 for the 4GB version, and Php52,990 for the 6GB version. While the Samsung Galaxy S9+ has a suggested retail price of Php52,990 for the 64GB, Php55,990 for the 128GB variant, and Php60,990 for the 256GB variant. Both smartphones are also available with Smart postpaid for as low as Php2,499 per month. Check out the details here.